From a Supreme Court of the Philippines decision1 on the case filed by the Batangas Transportation Company (BTCo) against Graciano Reyes, a businessman from Lemery who had petitioned to open additional bus lines around Batangas, we are able to obtain information about the state of land transportation in the province in the 1950s. The case that BTCo filed was to challenge an earlier decision by the Public Service Commission to grant Reyes certificates of public convenience to operate buses in the Batangas to Balayan and Lemery to Lipa lines. 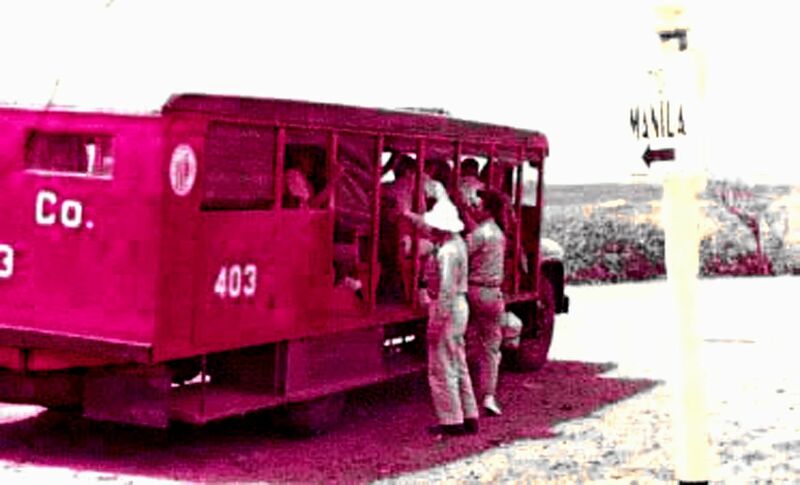 Our interest, however, is less on the merits of the case and more on the information it provides about the state of land – specifically bus – transportation in Batangas in the 1950s. From the testimony of Gabriel Gomez, the Chief Traffic Supervisor of the BTCo along with its sister company Laguna Tayabas Bus Company (LTB), both of which were founded by Max Blouse, we are able to ascertain which bus companies operated the Batangas to Nasugbu and Lemery to Lipa routes. The Batangas-Manila-Batangas route was outside of the scope of the Supreme Court document and is, thus, also excluded from this article. First trip 5:30 a.m.; last trip 4:30 p.m.
First trip 5:30 a.m.; last trip 6:30 p.m.
Used to operate Lemery to Manila but quit and was sold to BTCo. Most of the testimonies from witnesses speaking in support of BTCo were really statistical numbers to refute the above claims and show instead that buses operated by both BTCo and United Bus Line were frequently running “seldom filled to capacity” (verbatim from BTCo Inspector Lauro Holgado from Pinagtungulan). To conclude, because of the above and the fact that the Supreme Court also found correctly that the lines (Batangas to Balayan; Lipa to Lemery) that Reyes was granted were in truth already being served by BTCo’s and United Bus Lines’ Batangas to Nasugbu via Balayan and Manila to Lemery via Lipa routes, the earlier decision of the Public Service Commission was reversed. 1 “Batangas Transportation Company v Graciano Reyes, 31 October 1958,” online at the LawPhil Project. 2 The old BTCo buses had seats laid across the body like long benches with no aisles in the middle. Passengers got on an off through the doors at the end of each row; and the conductors issued tickets and collected fares by swinging from one door to the other. Passengers, if they were daring when buses were already full, could if they wanted to travel by clinging to the posts of the doors.